Coziness begins infront of our house. Around our mountain inn, tables and benches invited you to stay for a while and enjoy the beautiful weather. 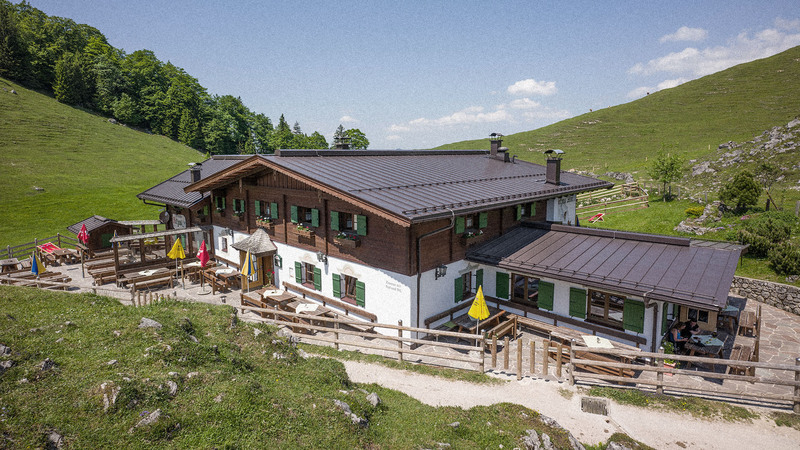 Enjoy the view on our terrace and let us spoil you with homemade cakes, venison specialties coming from our own hunt and delicious dishes made from the Austrian mountain bull. Ideal place for mountain tours.